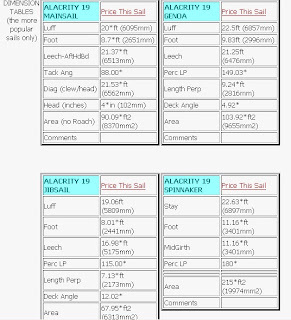 Just found an extensive array of sail plans on the sailrite website. 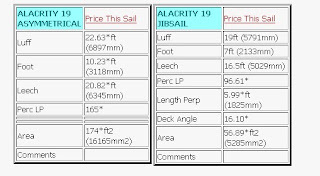 There are six different Alacrity sail options, a mainsail, two different jibs, a genoa, a spinnaker and an assymetrical dito. The website even offers quotes for new sails online.